Shweta Rathore, the First Indian female who won Silver Medal in fitness physique category in 49th Asian Bodybuilding Championship which was recently held in Uzbekistan.She brought the Title of Miss Asia 2015 fitness physique home. She is an engineer by qualification having her own business and NGO. She won Miss World Fitness Physique 2014 being First Indian female and Miss India Champion sports physique. 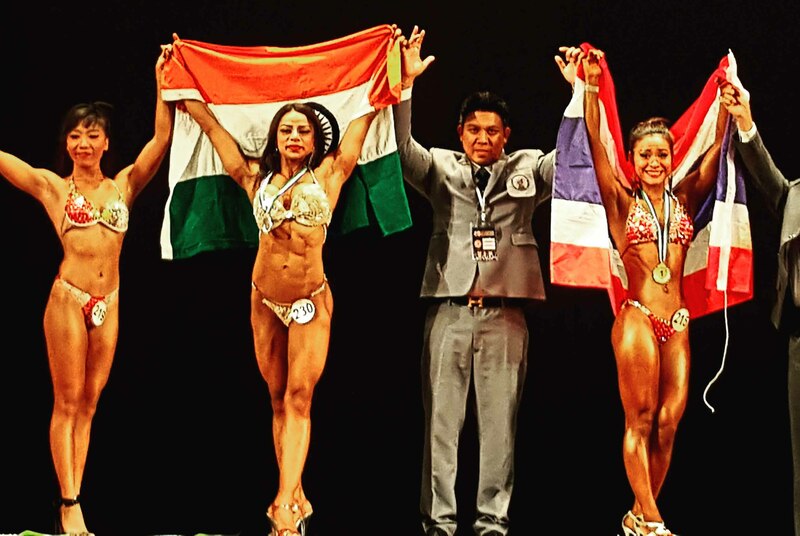 Shweta Rathore, will be representing India in World Championship in Muscle & Physique Contest 2015, in November at Thailand.She is confident to bring medal and title again to India and make all Indians and our country proud. Shweta says that she is confident to bring the medal and title again to India and make all Indians proud. the ambassador and is on Judge Panel of Body power Expo 2015.As there is no guide line and training for the sports that’s why she has opened her own Academy and company by the name of Fitness Forever Pvt. Ltd for the new talents where she will train them to compete in fitness competition.